Beautifully remodeled vacation rental with amazing ocean views. There is actually 2 units, one is upstairs and the 2nd is downstairs, both are 2/2, Call for rates. 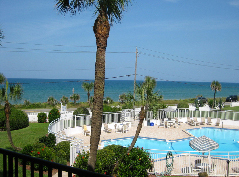 Vacation Rental Unit 109 Spectacular Ocean & Pool Views from just about every room of the condo. Tastefully furnished, balcony /patio area facing ocean & pool, fully equipped kitchen, linens and towels, use of all common area amenities included in rental. Spectacular Ocean & Pool Views: This tastefully furnished two-story condo is 2 bedrooms and 2 1/2 baths. The is located in the center of the building on the 2nd & 3rd floors of the of the complex. 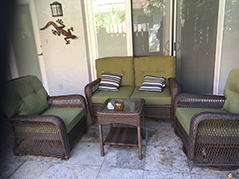 On the 1st floor, private balcony overlooking pool & ocean, custom kitchen, dining area, living room, 1/2 bath. On the second floor, master bedroom has king size bed with full bath attached, full bathroom in hallway, guest bedroom has 1 twin & 1 full size bed. You will enjoy ocean & pool views from just about every room of this condo. The common area amenities include, coin operated laundry facility, shuffleboard, tennis, gas grills, pool. Furnished, Flat screen TV's in bedrooms & living room, fully equipped kitchen, linens and towels, use of all common area amenities included in rental. Penthouse unit #406 is a one story unit located on the north corner of the 4th floor (top) of the complex. This 2 bedroom, 2 bath condo is totally remodeled, custom kitchen & Baths, newly furnished. Enjoy amazing ocean & pool views from the private oversized wrap around balconies, side windows, sliding doors and just about every room of the unit. The master has a king size bed with a full bath attached, guest bedroom has 2 twin beds. The common area amenities include, wifi hotspot, coin operated laundry facility, shuffleboard, tennis, gas grills, pool. Furnished, Flat screen TV's in bedrooms & living room, fully equipped kitchen, linens and towels, use of all common area amenities included in rental. Come enjoy this beautiful renovated condo. Gorgeous renovated 2 bedroom, 2 bath unit. Beautiful ocean view and view of swimming pool. Kitchen updated with granite countertops, relaxing living room with beautiful views. Upstairs with Queen in master, 2 full beds in guest room. Spectacular Ocean & Pool Views from just about every room of this 2 bedroom, 2 1/2 bath condo. Tastefully furnished, king size bed in master, 2 full size beds in the guest bedroom. Private balcony overlooking the ocean & pool, fully equipped kitchen, linens and towels, use of all common area amenities included in rental. Spectacular Ocean & Pool Views: This 2 bedrooms, 2-bath, one story, corner unit is located on the 3rd floor corner (end) of the south side of the complex. Enjoy amazing views from just about every room, the oversized private wraparound balconies, side windows & sliding doors. Tastefully furnished, king size bed in master, 2 queen size bed in guest. Kitchen equipment, linens and towels, use of all common area amenities included in the rental. Come enjoy the beautiful ocean view from this 2 bedroom, 1 bath unit located directly across from the beach. 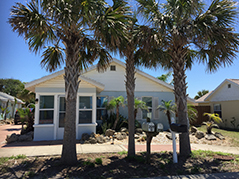 Enjoy long beach walks or sit and relax on your front porch and watch the dolphins. Secluded beaces. 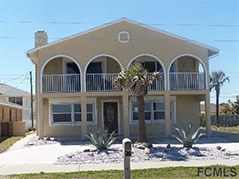 Home equipped with full kitchen, both bedrooms with queen size beds, cozy living room with ocean views. Pet friendly. Come relax in this lovely 2 bedroom, 2 bath town home. Beautiful kitchen with granite counter-tops, cozy living room with outdoor lanai area for relaxing. Upstairs master bedroom and guest bedroom with 2 wins beds. Located 1/2 block to beach. No pets. 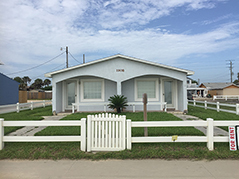 Come enjoy this 2 bedroom, 1 bath home located 1 1/2 blocks to the beach. Nice well equipped kitchen. Queen bed in main bedroom, full bed in guest room. Very short walk to beach and downtown area. Pet friendly.